Its easy-hard artificial intelligence logic. 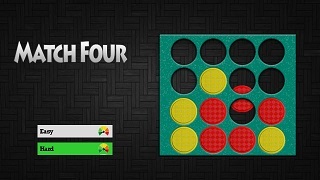 Match Four’s logic for the toughness of the game executes according to the level selected by the user. Match Four lovers finally found their long lost and most loved game at Roku Channel Store.